With inbound marketing, you draw visitors to your website by virtue of truly relevant and remarkable content. It recognizes that potential customers start the purchase process online at a search engine window. During their research, they look for information that answers their questions, educates them and allows them to qualify their level of interest in a product or service. If they don't encounter your website and blog content online as they work through search results, you have a problem. Yes, you can try to buy traffic through paid search and/or paid social advertising. Once you shut that down, though, your traffic disappears. Better to build the content that helps your business get found online in search results organically. That way it continues to work on your behalf over time. Inbound marketing is a methodology. It's a powerful way for integrating your customers into your content strategy. It also keeps you focused because you consistently and deliberately analyze results and integrate the findings so you can continuously improve. 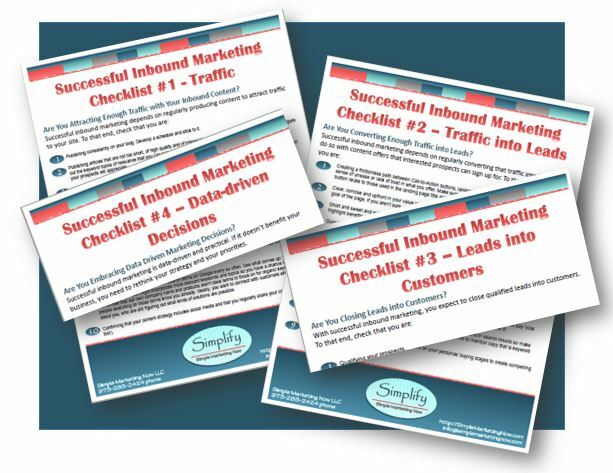 Since inbound represents a different way of doing marketing for your business, you may find it helpful to refer to the Simplifier's Guide to Successful Inbound Marketing. We've organized this guide into nine distinct chapters. In 'Why Inbound Marketing,' you'll discover what has changed in the marketplace and learn more about what makes inbound different from traditional outbound marketing. At the heart of inbound is the inbound marketing methodology which focuses on your customer's journey and how to attract, convert, close and delight customers rather than interrupt and irritate them. Data plays an important role, as do SMART goals and staying focused. Chapter two explores each of these elements, including "light" solutions to implement while you start experimenting with Inbound. Click on the image to download the checklists. Great content matters intensely for your website and business blog. If you are serious about successful inbound marketing, you will need to make regular and consistent publishing a priority. Feeding the content machine can feel overwhelming once the routine sets in if you don't have a process in place. The process starts with creating a content mission statement so your regular content strategy sessions will be productive. Although you don't want to rely on paying for all of your traffic, paid search and paid social advertising have a role in inbound marketing. Both paid forms can be valuable for testing out keywords and ideas, how well an offer converts on your site, for example, as well as to jump start traffic to your website. With both, you can drill down geographically and demographically for valuable marketing insights. As a result, you'll need to create longer content, understand new content strategy techniques and actively manage how to keep your content fresh and evergreen. This will enable you to ensure that your content delivers the best possible overall experience to the right people (aka your personas) in such a way that the search engines recognize that your content truly is ideal for those searchers. In other words, you need to make both people and search engines happy. Inbound success assumes that you regularly analyze results so you can make adjustments and improvements on an ongoing basis. Whether you use a tool such as HubSpot, rely only on Google Analytics, or have another solution, you are looking for patterns. You want to understand and track how much traffic you have, how long it stays on your site, how many pages it explores, and which pages generate conversions. Based on the patterns you observe and the insights those patterns yield, you'll be able to interpret the results and determine whether to focus on new offers, new content or how to close sales on an ongoing basis. Successful inbound marketing is more like a marathon than a sprint. You want to avoid burning out. 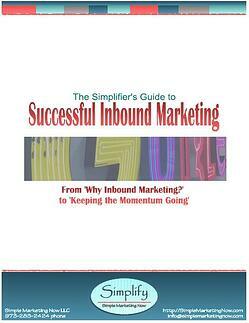 The more your entire organization embraces the inbound methodology, the easier you'll find keeping that momentum going. 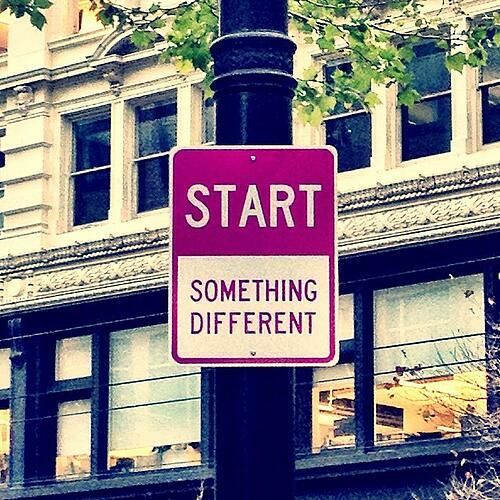 Ready to Start that 'Something Different'? If you're looking for a different approach to marketing online and curious about inbound marketing, check out the Simplifier's Guide to Successful Inbound Marketing. Then, let me know if you have questions.